Tulalip Resort Archives - Write for Wine: It's Wine O'Clock Somewhere!Write for Wine: It's Wine O'Clock Somewhere! Tulalip Resort Casino is an oasis of luxury that is an easy drive from Vancouver, Birch Bay, Bellingham and Seattle. 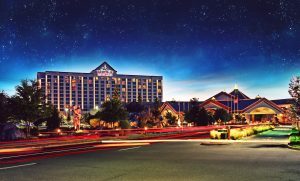 Tulalip Resort has it all: gorgeous hotel rooms; an abundance of excellent restaurants; Tspa, a relaxing sanctuary for native-inspired spa treatments; entertainment venues; and a Vegas-style casino. No wonder why Tulalip Resort is considered one of the most premier destinations in Washington state.